With tough, gritty language the narrator describes what happened to the three men his father killed, interlaced with evidence that his father’s three wives all died or disappeared under mysterious circumstances as well. Is the narrator’s father a hardened criminal? No, he’s the local sheriff. The story is told from the points of view of several characters. In the prologue, the first person narrator turns out to be seventeen-year-old Caleb Ross, whose mature voice belies his age. Caleb has seen way too much in his young life. After the prologue, each chapter is named for the character who narrates it (from the third person point of view.) For example, “Chris” is Deputy Chris Cherry, who responds to the call when a rancher discovers a body on his land. At first Chris thinks it might be an immigrant who died of exposure — a common occurrence in that area — until he notices that someone tied the arms with zip-ties. Realizing the implications of what he sees, he investigates the murder and unknowingly triggers a violent chain of events. The setting is the fictional town of Murfee, Texas. 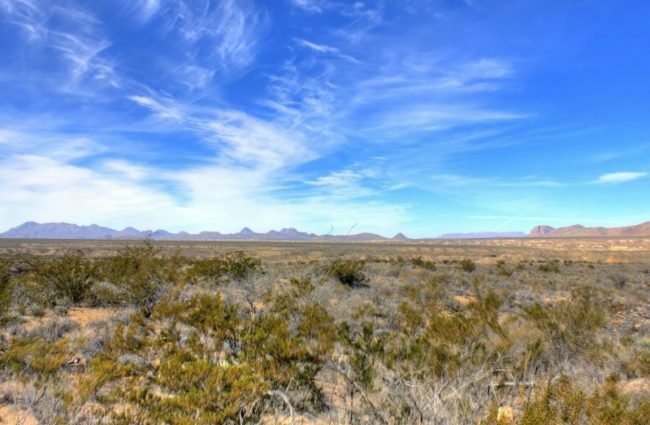 It is located in the wide open spaces near Big Bend National Park, a harsh area along the border of Texas and Mexico. People really do die there and law enforcement officers aren’t always whom they seem. As mentioned in a recent book beginnings post, J. Todd Scott visited our writing group last Friday. He told us about his journey to becoming a published author. Like many of us, he got his start with National Novel Writing Month (NaNoWriMo). Because J. Todd Scott has a job as a DEA agent, he gets up two hours early every weekday morning to write, trying for 600 words per day. It is working because he has two more novels due out over the next two years. He mentioned that although the stories of the new novels follow characters from The Far Empty, the next two will be branded as mysteries rather than western crime because they are set in other locations. A bit of a maverick by modern writing standards, Todd revealed he didn’t share his work with critique groups or beta readers. His agent was the first person to read his first novel. Perhaps that’s why his voice is so strong and clear, because it is not sanded down by the comments of others. When some members of my writing group said how much they enjoyed The Far Empty, I was excited to get my hands on it. The author develops powerful and interesting characters. Although it’s a cliché, you will love some of the characters and others you will love to hate. I’ll admit that at first the multiple character narration was a bit disorienting. Who is this person and how do they relate to the others? I gave it a chance, however, and things came into focus. J. Todd Scott has a unique voice, writing with a combination of English major prose and law enforcement realism. These two ingredients make The Far Empty a novel that will stick with you. Have you read The Far Empty? What did you think of it?